← It’s A Boy – Quilt That Is! 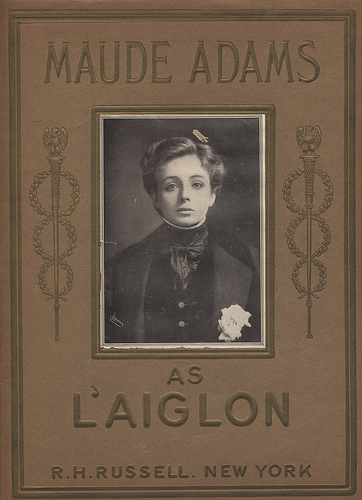 Here’s an advertisement for the Chestnut Street Opera House from the program/souvenir booklet for the play L’Aiglon starring Maude Adams which played in Philadelphia at The Broad Street Theater back in 1901. 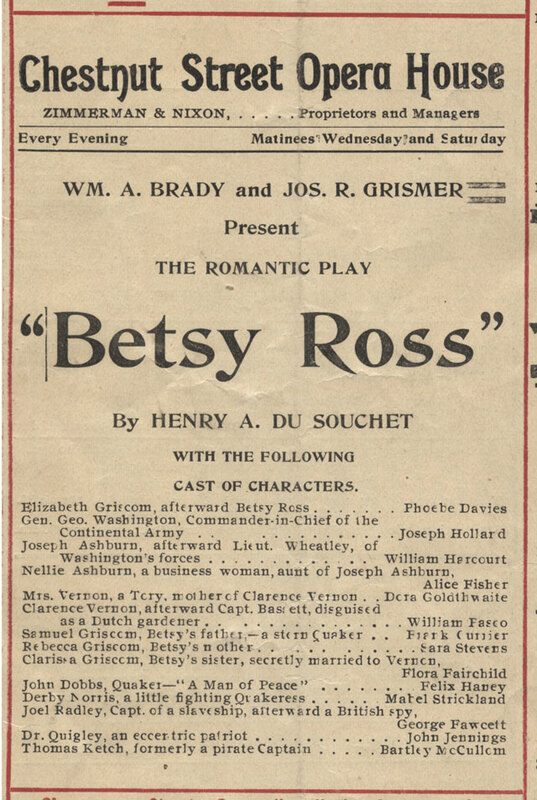 The Chestnut Street Opera House opened in 1877. This is a photo taken of the back entrance of the theater. 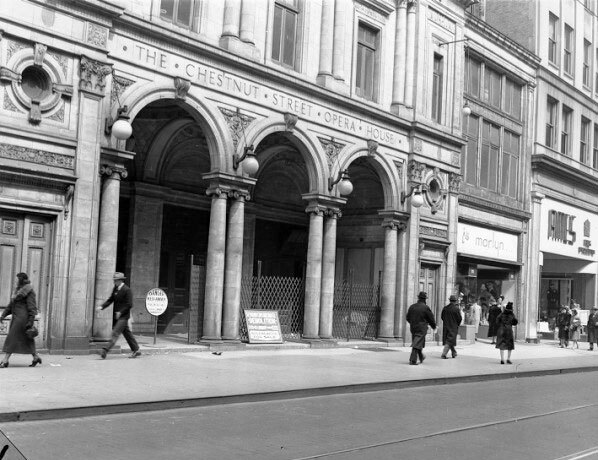 This photo was taken in 1940, shortly before the demolition of the theater. The sign you see in front is an advertisement for the wrecking company. 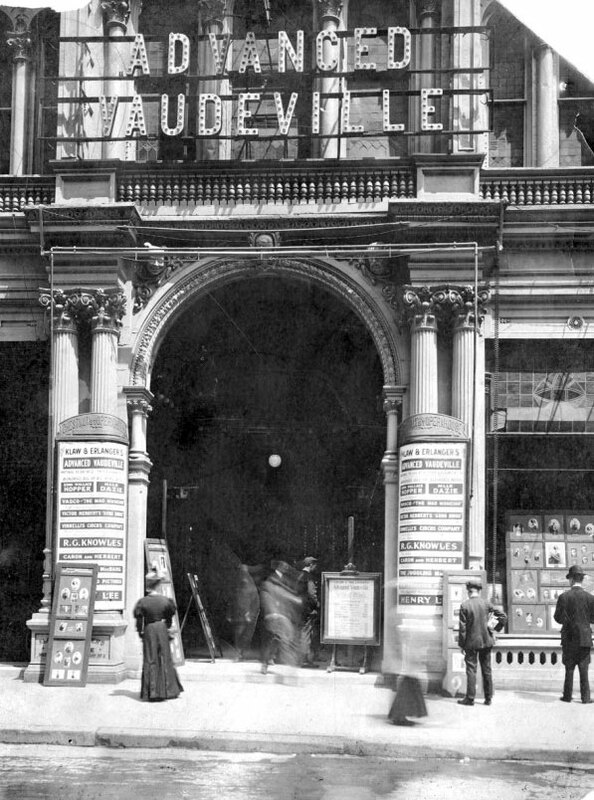 This entry was posted in Blast from the Past, News, Philadelphia and tagged demolished buildings, theaters, vaudeville. Bookmark the permalink.